Break out the spandex bodysuit and your cape. Evil is prowling around and it's up to the costumed superheroes to take care of business. 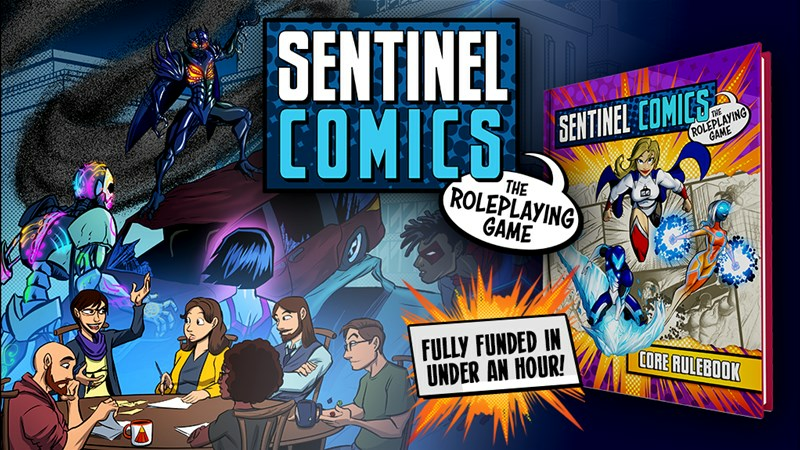 Greater Than Games has launched their Kickstarter campaign to bring you the Sentinel Comics Roleplaying Game. Join up with other heroes and send the supervillains to superjail.